The context is church discipline, calling out sin in hopes of repentance from a wayward brother or sister. Is that not also why we share the gospel? To know Jesus is to know truth and find all grace. He came to us, and His life, death, and resurrection prove the truthfulness of the Bible and that God desires loving relationship with us. Bless yourself with some wisdom from Proverbial Thought! 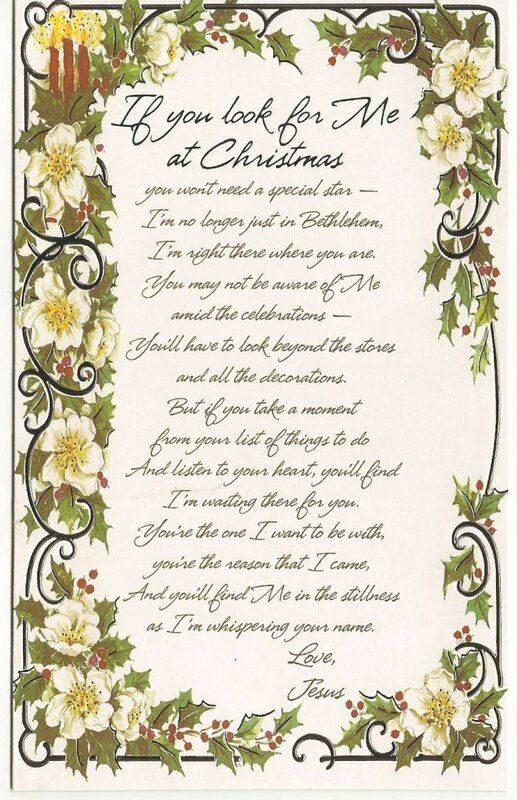 This is just a small break from my favorite Christmas carols as I share this interesting item. I am not really sure where this came from. This was e-mailed to me about two years ago, and I saved the picture. I share it with you now. May we remember this Christmas season, in all of the hustle and bustle, in all of the craziness that life brings (regardless of the season), in all of the things that are wrong in this world, that Christ came into this world as a baby, but He saved this world through His death on the cross. May we remember that He rose to life again, and one day He will return to redeem us! May we remember that He has not left us alone in the mean time!